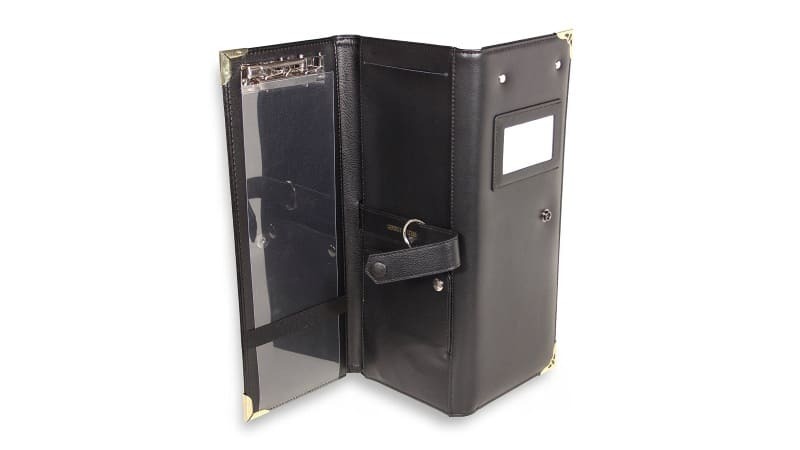 Get this quality, robust leather police fixed penalty holder today. Ideal for the officers out and about completing numerous tickets. Keeps them stored away safely. Get the deluxe model of the fixed penalty holder. This wallet is made from quality leather and attachments, it will give you a sturdy surface for completing tickets at the roadside. It has large paper clamps which hold the tickets in place which prevent slipping whilst endorsing them. One of the ideal features of this product is the plastic sheet which is also provide, which prevents write-thru to the tickets stored behind them. 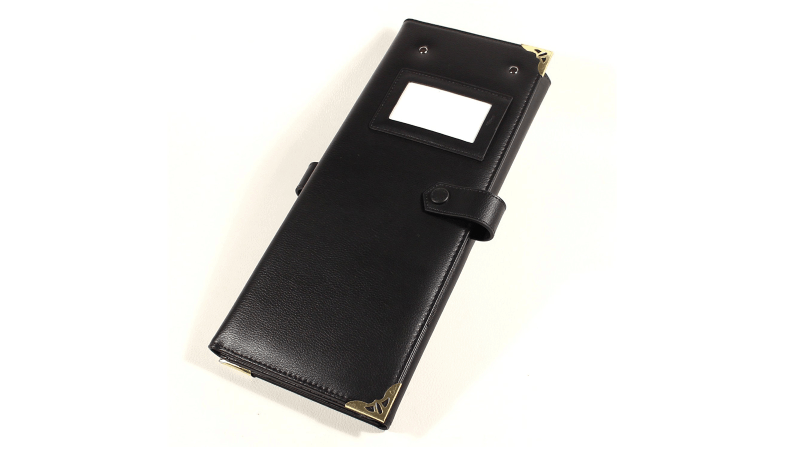 The wallet has a bi-fold system and when closed is held together with a press stud button.